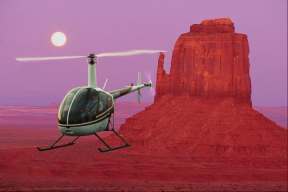 YellowAirplane.com: Airplane and Exploration Virtual Online Museum with Beautiful Pictures and Exhibits. 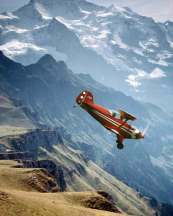 Airplane and Exploration Virtual Online Museum with Beautiful Pictures and Exhibits. Avin y Museo de la Exploracin virtual en lnea con bellas imgenes y exposiciones. This is a Great Virtual Online Museum, Online Aviation Museum and Online Arctic and Antarctic Exploration Museum showing Beautiful Pictures of Beautiful Places filled with Adventure Travel and Action Exhibits, North Pole Expeditions and Military Exhibits. Yellow Airplanes virtual online history exhibit museum covering many aspects of travel, adventure, action and aviation including VA-192, VF-114, VF-213 fighter jet squadrons aboard the USS Kitty Hawk, World War 2 history and military exhibits including the 413th Fighter Group and the 34 Fighter Squadron, The Deane Kesterson Memorial ( founder of IAC Chapter 61, a complete photo section of the construction of the Pitts Aerobatic Airplane. and from Poland to Pullman (one mans story) by Lorri Timbs. There is much more at this site, these are just the main exhibits. This page covers the following categories of exhibits: World War 2 pictures, World War 2 history, World War 2 planes, Arctic and Antarctic Exploration with North Pole Exhibits, Online Exhibit Displays, and Now the trip to Alaska. Look at the Exhibits Below. You will see some Great Pictures and Places. 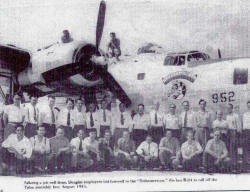 Click Here for the Airplane Article Index. Click Here for a Complete List of Airplane Museums in the United States. 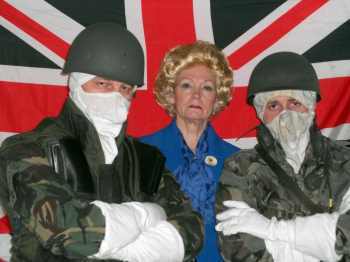 What could possibly drive wartime enemies to become peacetime friends? In 1979, Neil Wilkinson, a young man from Leeds in the UK, made a decision that would forever change his life. He joined the Royal Navy. He figured he was leaving behind life on the tough side of the tracks and never looked back. Little did he know that life was about to get tough again. Neil was sailing off into the toughest place of all. War. here for the Producers Blog. 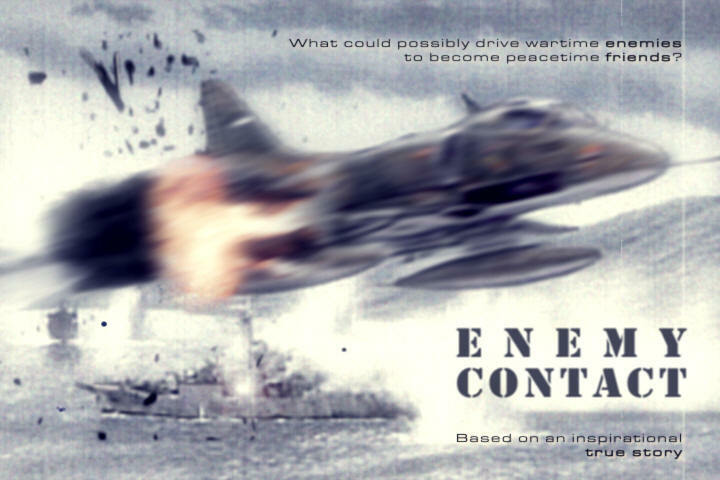 Neil Wilkinson from the HMS Intrepid and Mariano Velasco, Pilot in the Argentinean Air Force from the Falklands / Malvinas War finally meet in this newly made documentary. 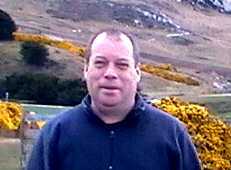 This is the story of how Neil shot down Mariano and how, after many years of searching, Neil Wilkinson finally found the man that he thought that he killed in 1982. Now Mariano was such a gentleman, that he invited Neil to come to Argentina and bring his whole family to stay at his house. Now they are friends and their internal war is finally over. The Mighty Eighth Air Force in Action during World War II. 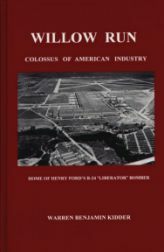 Shows the building of the B-24 Liberator, Doolittle's Raids, Ploesti Raids, and a list of every mission flown by the Eighth Air Force. 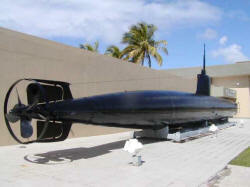 Japanese Midget Submarine Restoration on Guam, photos by Dan Collier. Before, during and after restoration, this Japanese two man Mini Submarine has been completely restored on the island of Guam. Plus, Dan shows us his pictures of Tinian island with pictures and videos of the Atomic Bombs Little Boy and Fat Man. Based on a Real Event - Basado en un hecho real. Stage Play "San Carlos Hilton" HMS Intrepid in the Falklands War"
A Tribute to the Columbia Astronauts. 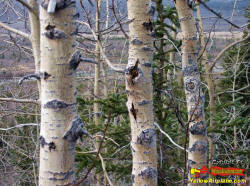 Check out the beautiful pictures of Alaska's forest and mountains. All the way from Anchorage to Fairbanks, down to Valdez, back to Anchorage and into the Kenai Peninsula. From the Alaskan Expedition of 2006. Shown Here is my oldest brother, John D. Dyrek Jr. United States Air Force, Viet Nam Veteran and a man who spent his life teaching his family the right way to do things and how to set a good example so everyone else will do the right things too. When you look at John's uniform today, after ten million years in the military, he has four times more medals than any General that I have ever seen on TV and that is absolutely the truth. 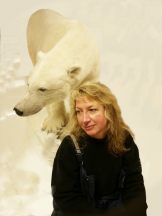 Photos from many members on the North Pole Expedition 2005. 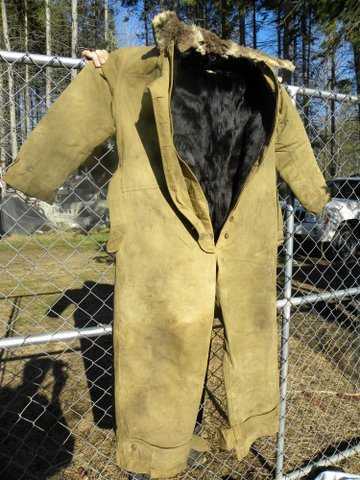 This exhibit includes snowmobiling, skiing, skydiving, dog sleds, coal mine tours and more. 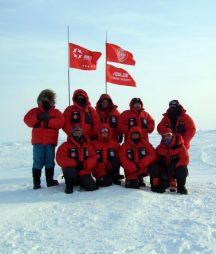 Photos from Cao Jun showing the entire trip of the Chinese Ski Team skiing the last degree to the North Pole. 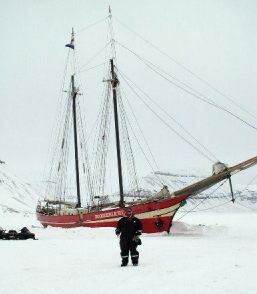 North Pole Expedition 2005. 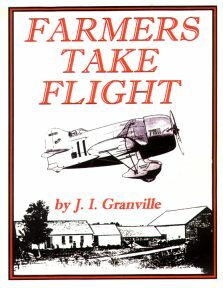 This is a great set of free books that you can read online or download for your pleasure with subjects ranging from Aviation to an RV Cookbook. Check these out and enjoy. Moki's North Pole Expedition 2003 Noses are Red, Fingers are Blue. The North Pole Expedition of 2003 was a fantastic event with the first Free, Unassisted, Scuba dive under the Ice, the worlds first North Pole Marathon Competition and the largest expedition group ever to go to the pole. There was also the NASA EM-31 Project testing ice thickness and new sensing technologies. All in all, it was fantastic and you can see the photos here. 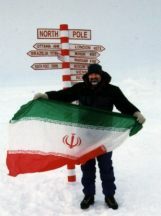 Siamak was the first Iranian to travel to the North Pole. This is the story of an Iranian citizen who has all of the same freedoms as any other great country on our world. Siamak Hatami is one of the nicest people that I have ever met and has been a close friend ever since the 2002 North Pole Expedition. This is the story of his life with pictures since, and including, when he was in the Iran, Iraq war. We have a complete list In Stock. 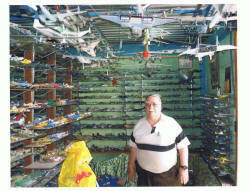 This is the finest model airplanes collection that I have ever seen. 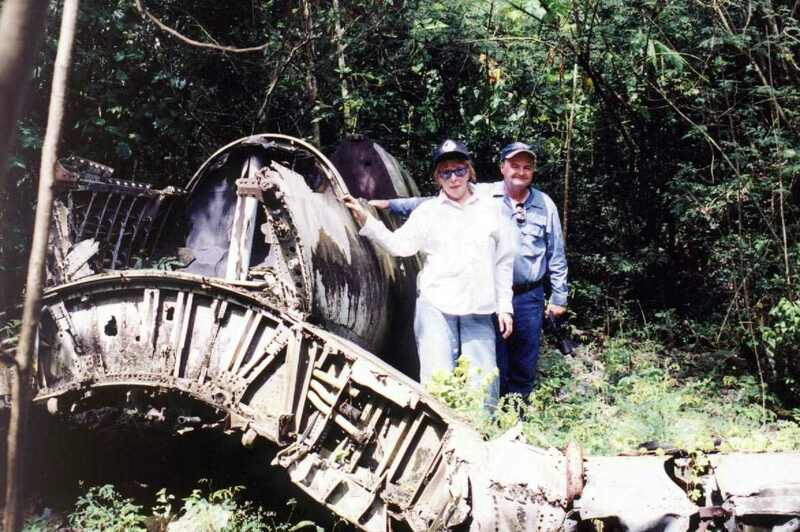 Built by Roberto Perez Dominguez who lives in Mexico City and was a pilot since 1952 and has stopped flying in 1984. Every plane is different. Now updated 23 Arpil 2009 has Roberto's aviation history listed in the Mexican Airlines. Who has gone to the North Pole. A summary of early North Pole Expeditions. Take a Trip to the North Pole, For Real. Y-I-BET on the Youth of America. Youth Innovative Business Environment Training. 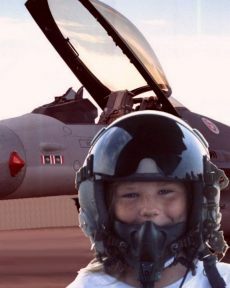 A Better way for kids to learn about technology, aviation and industry. This is an extensive exhibit that had hundreds of hours and tens of thousands of dollars put into making it. The original concept of the Y-I-BET Program was designed by C. Jeff Dyrek and Robert Muse. A little fun with computer graphics as Perry fly's around the world. 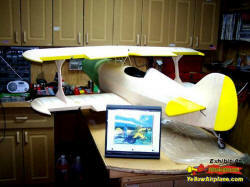 Pictures showing the detailed construction of Chuck Roberts Pitts Aerobatic Aircraft. This is the airplane that you see as a logo on the YellowAirplane Home Page. Shows many Pitts aircraft from building to flying This is the worlds most successful aerobatic aircraft. First built by Curtis Pitts using a 65 hp engine which he though would be excessive power, the Pitts is now built using engines with horsepower ratings of 450 hp and more. You too can build a Pitts aircraft in your own garage. 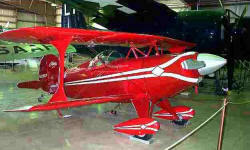 This Pitts Aircraft was built by Brent Smith. 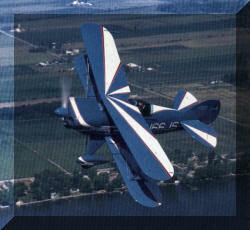 Both Simulated and Real Photos of the Pitts Aerobatic Airplane in Action. 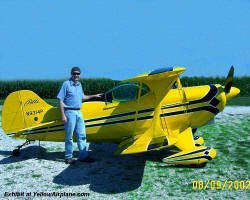 Jim Klick and Worlds First Certificated Pitts Aerobatic Airplane. Great photos and Computer Graphics. 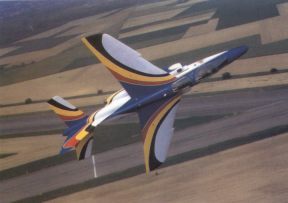 in the Belgian Air Force. Marc Arys has put this exhibit together very well with great diagrams and photos of the Alpha jet. First Sea Launched Operational Test of the Harpoon Anti-ship Missile. 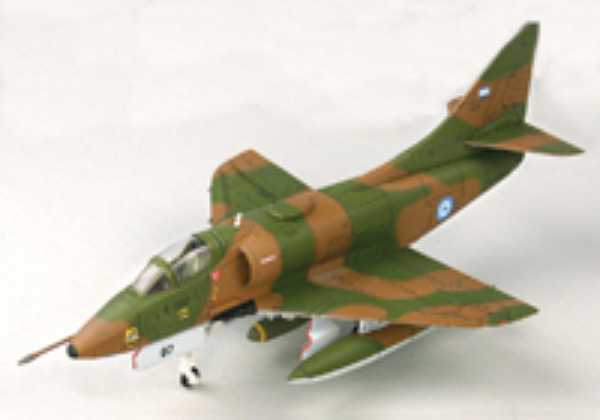 The A-7 Corsair Shown Here was attached to Attack Squadron VA-125 located at Naval Air Station Lemoore. 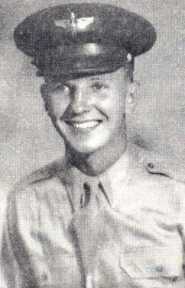 Deane was the founder of IAC Chapter 61 in Litchfield Illinois. We now call it, "the Deane Kesterson, IAC Chapter 61"
We can all learn a lesson from Deane, he had a dream and he made it happen. This Exhibit covers the End of the B-24 Liberator showing the very last B-24 to be built at the Tulsa Oklahoma B-24 Liberator Production Plant. Bob LaFara B-24 Liberators at Iwo Jima, Saipan, Oahu, Kwajalein. 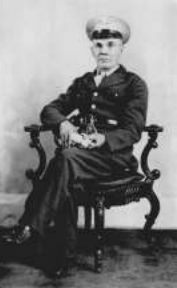 The story of John J. 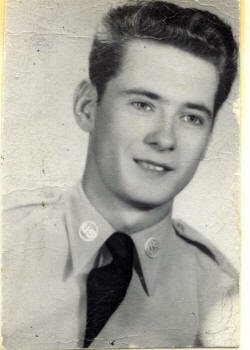 Story Jr. B-17 Flying Fortress Copilot of the "Powerful Poodle" in WWII. Photos are research from Mr. Morgan. 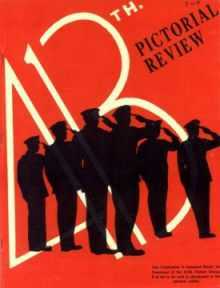 Was there a NBC, Nuclear Biological and Chemical research facility in North Korea, in 1942, after the Korean War? Was there a third Atomic Bomb? 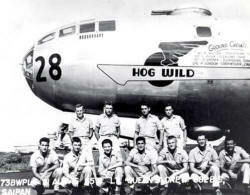 This is the story of the B-29 Superfortress named Hog Wild which was shot down over North Korea in 1945 after WW2 ended. 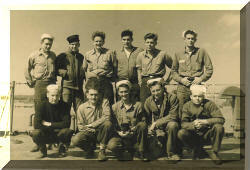 Fighting in both WW2 War Theaters, Fighting Criminals in Portland, Oregon. A look at the life of Jim Walker. 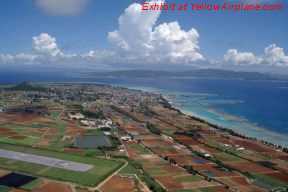 This exhibit shows the Japanese Betty Bombers that were the first part of Japan's Surrender to the U.S. in World War 2.
includes the 1st, 21st and 34th Fighter Squadrons from World War 2. This is the specialized training that the squadron members went through at Bluethenthal Field in Wilmington North Carolina just prior to their transfer to the island of Ie Shima located just north west of Okinawa. Take a tour of a real operational World War 2 fighter squadron stationed on the Western Pacific Island of Ie Shima. 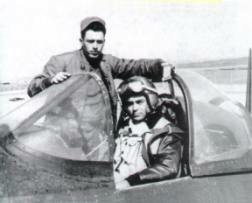 This is a historical event showing the complete fighter operation from the Mess Hall to the P-47 Thunderbolt in flight. You can also see the Japanese Surrender Delegation visit the Island. A World War 2 Plane. Some great shots of pages from a real WW2 P-51 Mustang Maintenance manual. This exhibit shows diagrams and component layouts of the P-51 Mustang in detail. A very interesting set of pages. Here's the Historical Ernie Pyle Exhibit. 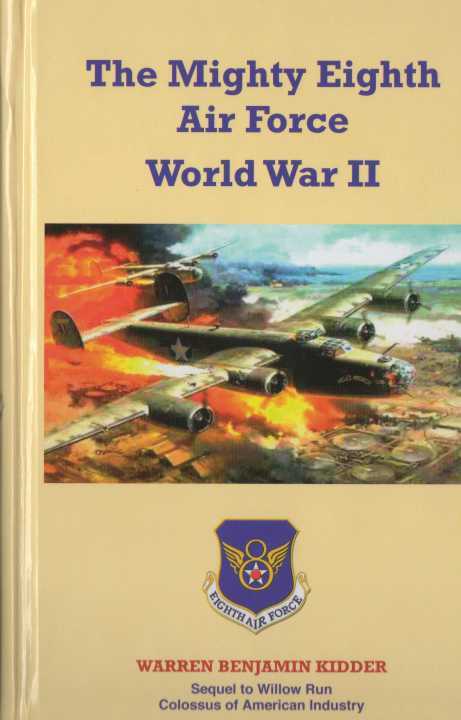 Release for "Willow Run The Eighth Air Force WW2 Movie"
Story sent by Ken and Annette. Unknown Author. How Jacob Dyrek made his journey from Poland to the community of Pullman on the south side of Chicago. The hardships he and men like him endured. 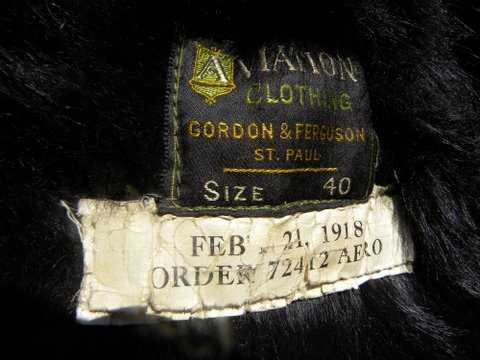 Click Here to see a large list of OnLine Museums. A super resource for Museums, Military and History among other subjects. Click Here's what I'm working on now, it's not complete but there's a lot of great photos of Alaska. North Pole Expeditions If you want to take a fantastic 2 week vacation which includes 2 days on the North Pole, just look here. 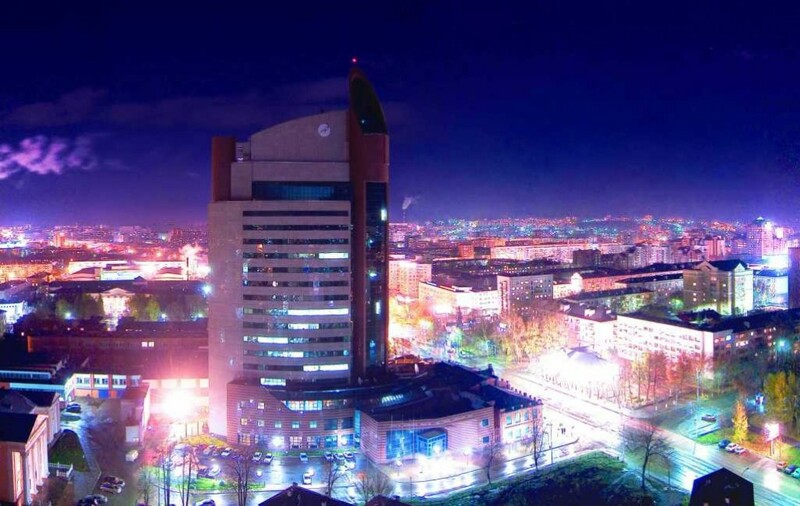 Kjo sht nj e Madhe Virtual Online Muzeu Historik, Muzeu Online Aviacionit dhe Online Arktik Antarktik dhe Exploration Muzeu treguar Piktura e bukur Beautiful Places mbushura me aventur dhe udhtimi Veprimit ekspozitave, Pol i Veriut ekspedita ushtarake dhe ekspozitave. Se trata de una lnea virtual de Gran Museo de Historia, Museo de Aviacin en lnea y en lnea rtico y el Antrtico Exploracin Museo que muestra fotos de bellos lugares llenos de Viajes de Aventura y Accin Exposiciones, Polo Norte Expediciones militares y Exposiciones. هذا هو الافتراضي العظمى أخبار متحف التاريخ ، ومتحف الطيران اون لاين على الإنترنت لاستكشاف القطب الشمالي والقطب الجنوبي ومتحف للصور الجميلة التي تبين أماكن جميلة مليئة مغامرة السفر والعمل المعارض ، والقطب الشمالي من البعثات العسكرية والمعارض. Това е голямо Виртуален Онлайн исторически музей, музей Онлайн авиация и онлайн Арктика и Антарктика Проучване музей, показващ Красива Снимки на красивите места пълни с Приключенски пътувания и действие експонати, Северен полюс Експедиции и Военен експоната. Es tracta d'una lnia virtual de Gran Museu d'Histria, Museu d'Aviaci en lnia i en lnia rtic i l'Antrtic Exploraci museu que mostra fotos de bells llocs plens de Viatges d'Aventura i Acci firal, Pol Nord Expedicions militars i Exposicions. To je sjajna Online Virtualni muzej, Muzej i zrakoplovnu Online Online Arktik i antarktički Exploration muzej prikazuje Lijepa Slike Beautiful Places napuni Pustolovna putovanja i akcijski izložaka, North Pole Ekspedicije i vojne izložaka. To je Velk Virtuln Online muzeum, Leteck muzeum a Online Online Arktidy a Antarktidy průzkum muzeum ukazujc Beautiful Obrzky krsnch mst plněn Dobrodružn cestovn a akčn Exponty, severn pl a expedice Vojensk exponty. Det er en stor Virtual Online History Museum, Online Aviation Museum og Online Arktis og Antarktis Exploration Museum viser smukke billeder af Beautiful Places fyldt med Adventure Rejser og aktion udstillingsgenstande, Nordpolen Expeditions og Militre udstillingsgenstande. Dit is een Groot Online Virtual History Museum, Online Luchtvaart Museum en Online Arctische en Antarctische Exploration Museum toont prachtige foto's van mooie plekjes gevuld met Avontuurlijke Reizen en actie Exhibits, Noordpool Expedities en Militaire Exhibits. See on suur Virtual Online Ajaloomuuseum, Online lennundus muuseum ja online Arktika ja Antarktika Uuringuluba muuseum nitab Ilusad pildid Ilusad Kohad tidetakse Seiklusreis ja meede nitused, phjapooluseni ekspeditsioonid ja sjalise nitused. Ito ay isang Great Virtual Online History Museum, ang Online Aviation Museum at Online Arctic at Antartiko pagsaliksik Museum nagpapakita Beautiful Pictures ng Beautiful Places napuno sa Adventure Travel at Aksyon Exhibits, North Pole Expeditions at Militar Exhibits. Tm on suuri Virtual Online History Museum, Online Aviation Museum ja Online Arctic ja antarktiset Exploration Museum osoittavat Kauniita Kuvia Beautiful Paikat tytetn Seikkailu Matkat ja toiminnan Exhibits, pohjoisnavalle toimituskirjoista ja sotilaallinen Exhibits. Il s'agit d'une ligne virtuelle Great History Museum, Muse de l'aviation en ligne et en ligne l'Arctique et l'Antarctique Exploration Muse montrant de belles images de beaux endroits remplis d'action et d'aventure Voyage Expositions, expditions au ple Nord et militaire Expositions. Este um Grande Museu Virtual de Histria “On line”, Museu de Aviao “On line” e Museu de Explorao do rtico e do Antrtico “On line”. Mostra lindas fotos de belos lugares obtidas em viagens plenas de aventura e aco, expedies ao Plo Norte e Exibies Militares. Dies ist ein groer virtuellen Museum, Online-Aviation Museum und Online-Arktis-und Antarktis-Exploration Museum zeigt wunderschne Bilder von wunderschnen Orten mit Reisen und Abenteuer Action Exponate, Nordpol Expeditionen und militrische Exponate. Αυτό είναι ένα Μεγάλη Virtual Online Ιστορικό Μουσείο, Μουσείο της Αεροπορίας και Online Online Αρκτική και Ανταρκτική Εξερεύνηση Μουσείο Όμορφες εικόνες που δείχνουν όμορφα μέρη της γεμάτες με Ταξίδια και δράσης εκθέματα, Βόρειο Πόλο και Στρατιωτικές αποστολές εκθέματα. זה נהדר מוזיאון וירטואלי מקוון היסטוריה, מוזיאון מקוון תעופה ומקוונים הארקטי ועל אנטרקטי סקר מוזיאון יפה מראה תמונות של מקומות יפים טיולי הרפתקאות מלא וכן פעילות exhibits, לקוטב הצפוני Expeditions והצבאי exhibits. यह एक महान वर्चुअल ऑनलाइन इतिहास संग्रहालय, ऑनलाइन विमानन संग्रहालय और ऑनलाइन आर्कटिक और अंटार्कटिक एक्सप्लोरेशन संग्रहालय सुंदर चित्र खूबसूरत Places साहसिक यात्रा और लड़ाई प्रदर्श, उत्तरी ध्रुव और सैन्य अभियानों प्रदर्श से भर के दिखा रहा है. Ez a Nagy Virtulis Online Mzeum, Online Replsi Mzeum s a Jeges-Online s Antarktiszi Exploration Mzeum mutatja Gynyrű kpek Beautiful Places tlttt Adventure Travel and Action killtsi, North Pole expedcik s katonai killtsi. Ini adalah Great Online Virtual Museum Sejarah, Museum dan Penerbangan Online Online Arctic dan Antartika Exploration Museum menampilkan Beautiful Pictures of Beautiful Tempat Wisata Petualangan diisi dengan pameran dan Aksi, Kutub Utara dan ekspedisi Militer pameran. Si tratta di un grande Museo di Storia virtuale online, on-line e on-line Museo Artico e Antartico esplorazione Museo mostrando bellissime immagini di bei posti pieni di azione e avventura Viaggi Mostre, Polo Nord Spedizioni e militari Esposizioni. 이것은 위대한 가상 온라인 역사 박물관, 온라인 항공 박물관 및 온라인 북극과 남극 탐험 박물관 예쁜 이미지 아름다운 명소 어드벤쳐 여행 및 액션을 전시하고, 전시와 함께 북극 Expeditions과 군사 가득한을 보이고있다. Šī ir Great Virtual Online Vēstures muzejs, Online Aviācijas muzejs un Online Arktikas un Antarktikas izpētes muzejs rāda Beautiful Pictures of skaistākajām vietām piepildīta ar Adventure Travel un rīcības eksponāti, North Pole ekspedīcijas un militāro eksponāti. Tai Didžiosios Virtualus interneto istorijos muziejus, Online aviacijos muziejaus ir internete Arktis ir Antarktis tyrinėjimo muziejus parodyta Gražios nuotraukos gražios vietos alsuoja Nuotykių Kelionės ir veiksmų Eksponatai, Šiaurės ašigalis ekspedicija ir karinių eksponatų. Din hija Gran Virtwali Online History Museum, Online Online Aviation Museum u Artiku u Antartiċi Esplorazzjoni Museum turi sabiħ Pictures of sabiħ Postijiet mimlija bil Adventure Travel u Azzjoni juri, North Pole expeditions Militari u jesibixxi. Dette er en stor Virtual Online History Museum, Online luftfartsmuseum og Online Arktis og Antarktis Exploration Museum viser vakre bilder av Beautiful Places fylt med Adventure Travel and Action utstillinger, Nordpolen Ekspedisjoner og militre utstillinger. To wielki online Wirtualne Muzeum Historyczne, Muzeum Lotnictwa i online online Arktyce i Antarktyce Badań Muzeum pokazano piękne zdjęcia pięknych miejsc wypełniona Adventure Travel and Action Eksponaty, North Pole Ekspedycje i wojskowych eksponatw. Este um grande Virtual Online History Museum, Online Aviao e Museu Online rtico e Antrtico Explorao Museu mostrando Beautiful Fotos de belos lugares preenchidos com Viagens de aventura e aco Exhibits, Plo Norte Expedies e Militar Exhibits. Aceasta este o mare Virtual Online Muzeul de Istorie, Muzeul Aviaţiei şi online Online Arctic şi Antarctice Explorarea Muzeul arată Beautiful Imagini de frumoase locuri umplute cu Aventura de turism şi de acţiune Exhibits, Polul Nord expeditii militare şi de exponate. Это отличный виртуальный музей истории Интернет, Online музей авиации и интернет Арктики и Антарктики музей исследованию показ красивые фотографии красивых мест заполнены приключений путешествий и действий выставки, Северный полюс экспедицию и военных экспонатов. То је сјајна Онлине Виртуелни музеј, Музеј и ваздухопловну Онлине Онлине Арктик и антарктички експлоратион музеј приказује Лепа Слике Беаутифул Плацес напуни Пустоловна путовања и акциони изложака, Нортх Поле експедиције и војне изложака. To je Velika Virtual Online muzej, muzej in letalstvo Online Online Arktiki in Antarktiki raziskovanje muzej prikazuje Čudovite fotografije Beautiful Places napolnjena z Adventure Travel and Action Razstave, North Pole ekspedicije in vojaške Razstave. Detta r en stor Virtual Online museet, Online Aviation Museum och Online Arktis och Antarktis Exploration Museum visar Vackra bilder av vackra platser fyllda med ventyrsresor och tgrd Utstllningar, North Pole Expeditions och militra Utstllningar. 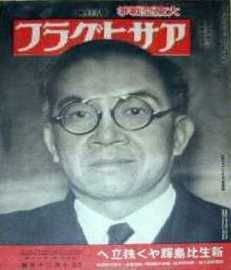 นี้เป็นโอกาสอัน ดีที่เสมือนประวัติออนไลน์พิพิธภัณฑ์ออนไลน์และการบินพิพิธภัณฑ์ออนไลน์ Arctic และ Antarctic สำรวจพิพิธภัณฑ์แสดงสวยงามรูปภาพสวยงามของสถานที่ที่เต็มไปด้วยการท่อง เที่ยวแบบผจญภัยและการดำเนินการแสดง, ขั้วโลกเหนือ Expeditions และทหารไทยแสดง. Bu bir Byk Sanal Online Tarih Mzesi, Online Havacılık Mzesi ve Online Arctic ve Antarktik Exploration Mze Gzel Resimler Gzel yeri Macera Turizmi ve Eylem sergilerse Kuzey Kutbu'na keşif ve Askeri sergiler ile doldurmuştur gsteriliyor. Це відмінний віртуальний музей історії Інтернет, Online музей авіації та інтернет Арктики і Антарктики музей дослідженню показ красиві фотографії красивих місць заповнені пригод подорожей та дій виставки, Північний полюс експедицію і військових експонатів. 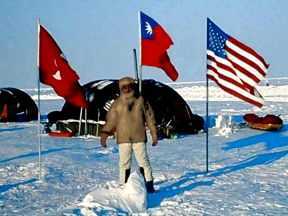 Đy l một ảo online Great Bảo tng Lịch sử, Bảo tng hng khng v đang truy cập trực tuyến Arctic v Antarctic Exploration Bảo tng hiển thị hnh ảnh đẹp của Beautiful Địa danh đầy Phiu Du lịch v cc hnh động Exhibits, North pole Những Exhibits v Qun đội.